Every wednesday morning except on public holidays and on Religious holidays. 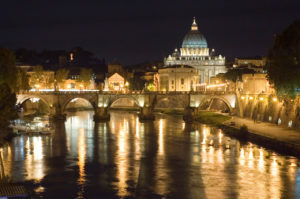 Vatican Museums tour is a must see site when you come to Rome!. 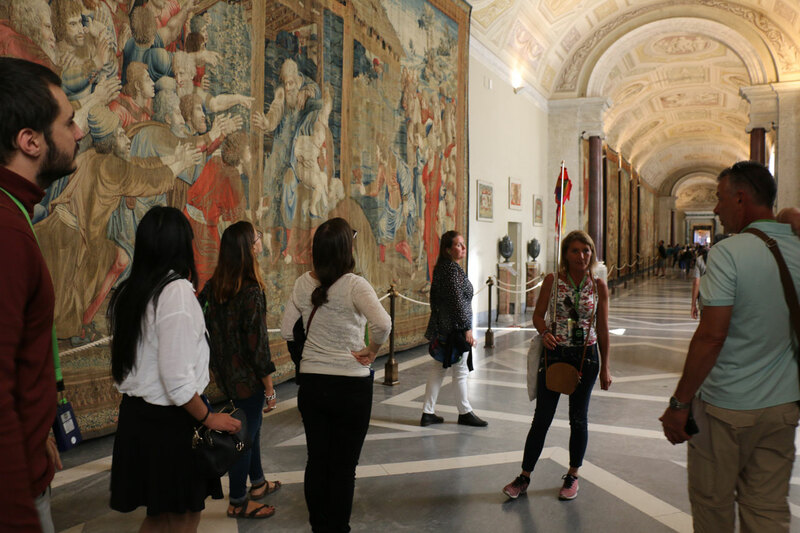 Our Vatican guided tour with an art passionate guide will take you inside the Vatican Museums with priority entrance tickets to see the Vatican treasures, the the Sistine Chapel with the frescoes of Michelangelo and St. Peter’s with Michelangelo’s “Pieta”. What will you see in the Vatican Museums? As soon as you enter the stunning galleries you will see in front of you an incredible art collection of ancient Roman-Greek statues , mosaics , paintings and hand-made tapestries. Our passionate friendly guide, who is an art expert, will point out the most important art pieces and tell you many stories related to the artist life and their rivalries. Among them are of course Michelangelo and Raphael, who competed in the 1500s while both of them were working for the Pope Julius II. You will enter the beautiful apartment of the Pope Julius II where Raphael painted for him the School of Athens and the dispute of the Sacrament , where philosophy and theology are facing each other, among the several characters represented by Raphael look for Michelangelo and for Raphael self portrait!. As you are heading to the Sistine Chapel our storytelling guide will gain your attention on Michelangelo’s Ceiling and Last Judgement art works. While the “Genius” of the Renaissance was paining the Last Judgement many important people highly criticize his job offending him and his talent. As a response to the criticism, Michelangelo will use his paintbrush representing them in the Last Judgement. Do not forget to find out with your guide the different characters that have been represented by Michelangelo or Raphael in their art-work. Directly from the Sistine Chapel you will have access to the Basilica of St. Peters where you will see the spectacular marble group of Michelangelo’s “Pieta” and the “Baldachin” of Bernini where only the Pope can celebrate the Holy Liturgy. the Basilica was built in over 120 years by several architects including Raphael and Michelangelo and it is also renown for the spectacular mosaics from the Vatican mosaic school. After the tour you can decide to climb the dome or to visit the holy Papal Grottoes located right beneath the Basilica of St. Peter’s. 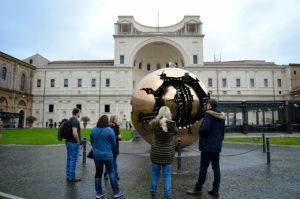 We offer a great sharing small group tour of 22 people or less led by our storytelling official Vatican tour guide where each participant of the group will experience the Vatican tour discovering Raphael and Michelangelo in 3 hours tour. Summary of the Itinerary: Vatican Galleries, Raphael Rooms with School of Athens, Sistine Chapel, Basilica of St. Peter’s and Michelangelo’s “Pieta”. 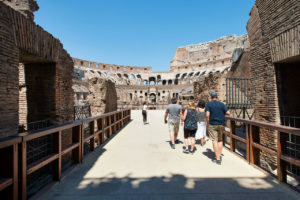 Please note: due to possible unexpected closure of the Basilica religious functions, our guide will include in the itinerary another section of the Vatican Museums not included in the itinerary . Due to an increasing of security procedures there might be a little line in the priority entrance area but you will still have priority over customers without skip the line tickets with times and reservation.